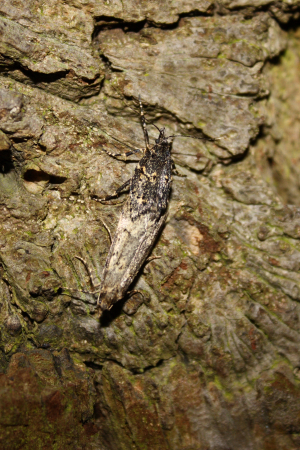 Observation - Diurnea fagella mating - UK and Ireland. Description: A mating pair of D. fagella. Common in woodlands at this time of the year. The flightless female is a common ID request. This is a light coloured male with a dark coloured female. A mating pair of D. fagella. Common in woodlands at this time of the year. The flightless female is a common ID request. This is a light coloured male with a dark coloured female.